Global leader in innovative tactical apparel, footwear and gear, 5.11 Tactical, is officially launching a program of instructional classes hosted at its 45 company-owned retail stores throughout the U.S. 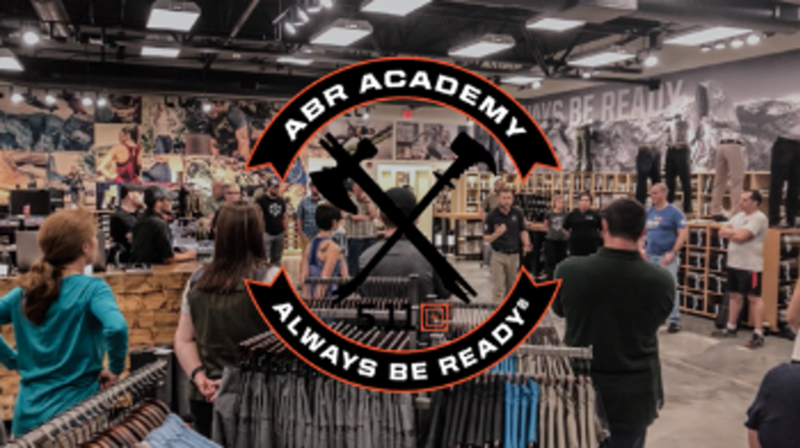 The 5.11 ABR (Always Be Ready) Academy events are free to the public and will be held monthly at different company-owned retail locations nationwide. The 5.11 ABR Academy shows 5.11’s commitment to the 5.11 Always Be Ready mentality extending beyond just a customer’s apparel, footwear and gear. 5.11, 5.11 Tactical, and Always be Ready are registered trademarks of 5.11, Inc. All rights reserved.